In describing the heart of his spiritual practice as simply as standing guard at the entrance of his mind, this master was underlying the point of that taming, purifying and transforming the mind lie in the heart of the practice of Buddha Dharma. This was in essence, the core of lojong, a Tibetan term for “mind training”. With such enthralling explanation of using an ancient technique to tame the mind, it was no wonder that the 800 plus audience attending the two day conference sat transfixed, with pin drop silence. And also how do we cleanse it, tame it and transform it so that we can bring out all the potentials for perfect enlightenment that are naturally present within it? 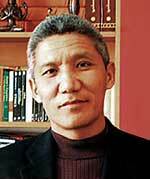 In explaining the practice of lojong, Dr Jinpa says the technique is encapsulated in the training of two aspects of the awakening mind (bodhicitta). One, the conventional awakening mind to counter self-cherishing, and two, the ultimate awakening mind to counter self-grasping. He also said that one of the more beautiful aspects of lojong as a method of mental transformation is that it can be cultivated, enhanced and applied not only during a formal sitting meditation, but also during post-meditation activities. “This helps to bridge our spiritual practice and everyday life,” he says. On questions of antidotes that we need to apply against our afflictions, the lojong teaching admonishes one to “overcome all errors through a single means,” principally the practice of compassion. “Practitioners are advised to use compassion as the overarching principle in other spiritual practices,” he advises. In essence, this is called tonglen, the practice of “giving and taking”. The meditation involves visualization of giving away one’s own happiness and good fortune to others and taking upon oneself their suffering and misfortune. “This visualization practice is combined with our respiration, whereby we breathe in, we imagine taking from all other beings their suffering, negative traits and behavior. As we exhale, we imagine giving to all beings our happiness, good karma and virtuous traits,” he explains. Dr Jinpa says that it is a human natural tendency to “reify what we deem to have special value for us”. It is therefore imperative that “when our Dharma practice begins to be effective in countering our afflictions – especially our self cherishing – there is a danger that we might end up grasping at the very means itself,” he warns. In another talk, Ven. Heng Sure says that it was probably a greater challenge today to concentrate and purify the mind than it was during Buddha’s time. “We are surrounded by random noise, confusing images, media saturation and the tug in the marketplace,” he points out. Nonetheless, he says that the human potential for awakening is no different from Buddha. “We still use the human mind to accomplish the task the Buddha faced more than 2,550 years ago,” he says. “The (six) senses are linked at some level and they interact in a profound way so that when the mind is opened in meditation, memories emerge intact - not like a dream - but with sight and temperature and emotional content,” he explains. To covert mastery of the senses, Ven Heng Sure suggests the use of syncretic approach towards meditation. And so sitting, reciting and bowing are all expedient means (upaya). “If we can calm and purify the mind, then walking, standing, sitting and lying down all expresses the compassion and wisdom of the Buddha,” he concludes. Five other presenters contributed to the discussions yesterday. They are: Ven. Robina Courtin (Helping prisons find freedom), Ajahn Brahmavamso (Living life with a purpose), Ven. Aggacitta Bhikkhu (Potentialities of the developed mind) and Dr Tan Eng Kong, (Transforming difficult relationships). 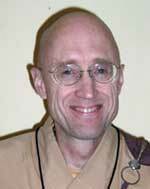 The Buddhist Channel will be broadcasting videos of all the presentations from November 26, 2007.